Convenient ready-to-eat low carb snack pack with just 2 net carbs per serving. Low carb, gluten free and no artificial sweeteners. Delicious and satisfying low carb snack to go! 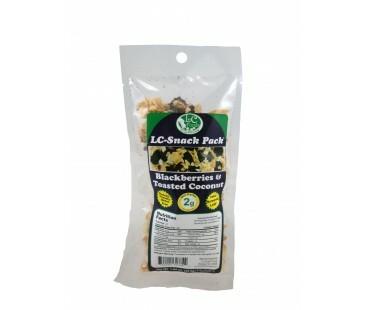 This low carb snack pack has a tasty combination of unsweetened freeze dried blackberries and unsweetened toasted coconut. Try sprinkling the pack over some low carb yogurt! Delicious! What a genius idea for snack time! Love these, very tasty! !